Tell the current Vietnamese Ministers of Health, Agriculture and Rural Development, and Industry and Trade to put a real stop to the illegal cat meat trade. Eating a cat is cruel, will not bring you luck or make you more agile, and could seriously harm your health. The dog meat trade has come under scrutiny in recent years, but cats who are similarly abused haven't gotten as much attention. In this brutal yet thriving trade, cats are crammed into wire cages and transported into Vietnam, where cat meat is popular. Though many are strays, a large number are also beloved pets who have been stolen, still wearing their collars. The meat is sold as an expensive "delicacy" labeled "little tiger." Locals eat cat meat at the beginning of the month and year for good luck, or believing that it will bring strength and agility. But the unregulated meat can be deadly, exposing people who eat it to diseases including toxoplasmosis, E. coli, and rabies. Sign now and demand this gruesome meat trade be ended for good. Like dogs, cats are meant to be our friends - not dinner. The ban established in 1998 to ban cat meat from consumption needs to be enforced. It is inhumane to torture cats, butcher them, and eat them for "good luck." Anyone who sells cats for meat or cat meat itself, or who consumes it - including police who should be enforcing the ban - needs to be prosecuted. 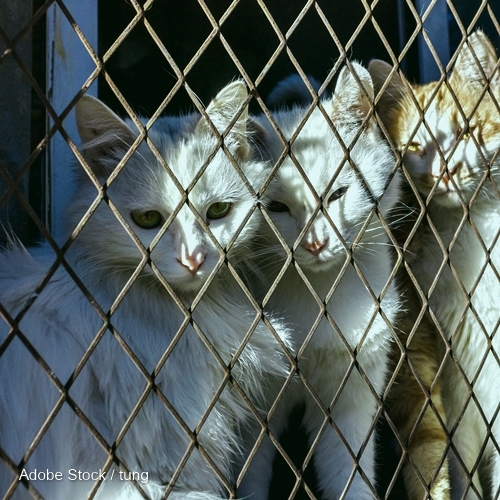 This insidious cat meat trade is brutal, cruel, and illegal. Cats are not listed as livestock by Vietnam, and should not be sold for meat. It is dangerous to turn a blind eye to an unregulated meat trade in which contaminants can include potentially deadly diseases like toxoplasmosis, E. coli, and rabies. These cats are being tortured and butchered. Some may be strays, but many are stolen pets. Thailand has sensibly and humanely banned all dog and cat meat, and we hope you will do the same. It is best for both animals and the people. Your swift action is appreciated! That's 43,190 signatures! Let's keep the ball rolling.